Partner with us and contribute to the changes that will reform Cameroon (Africa) and be recognized as a pillar of strength in achieving the African dream. Our sponsors enjoy the benefits of fulfilling their commitments with us. Our influence together goes beyond measure because of your commitment in working with us. We deliver, Impact, for our sponsors by making a positive difference in the world.Appreciation, we do for our sponsors the unexpected to achieve their dreams.Mission, we build on the concept of working together with our sponsors to achieve results.Recognition, we put our sponsors name on high profile building.Benefits, we offer an opportunity to network with some of our sponsors.Your support is indispensible as we move towards the journey of transforming Cameroon and Africa to a prosperous and dignified society. Ø 5€ can buy pencils for 70 least privileged children in Cameroon. 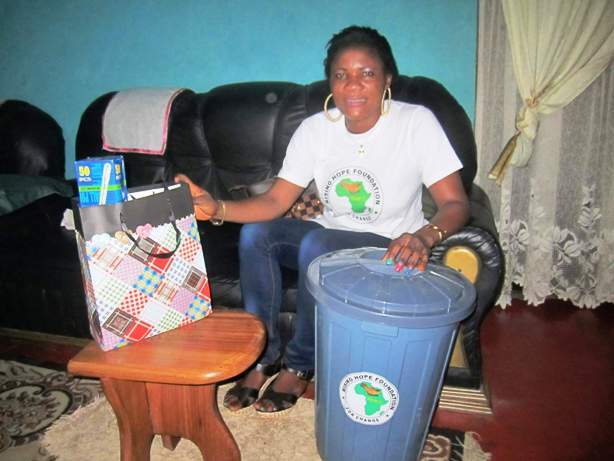 Ø 10€ can provide a mosquito net to a pregnant women to against malaria. Ø 300€ can plant 1000 tree seedlings of ornamental, shade trees and fruit trees for aesthetics of our cities, mitigating the negative effects of climate change and alleviating poverty in our rural areas. Ø 500€ will help in the production of educative, entertaining and informative videos that would help change life styles in term of environment and sustainability.